Meeting Jesus at The Well. The Well is a prophetic ministry at the Pasadena International House of Prayer. At the Well people sign up for prayer and then are prayed over by a small team of trained people. These trained lay-ministers share prophetic words with the person seeking prayer and later email a recording of the session to them. This ministry takes its name from a story of one woman’s encounter with Jesus. In John 4:1-26 (and elsewhere) her story is recorded. This ministry is truly aptly named because like the woman at the Well people routinely encounter Jesus’ disorienting love for them and prophetic words of knowledge that the servants at the Well could not know without the Holy Spirit and the gift of prophecy. I have written about my experience receiving ministry and my initial experiences serving at the Well in other posts. For the last several months I have served at the Well almost every single Saturday night and as I have grown in my understanding and experience of the prophetic I am at a place now where what was once shocking and noteworthy to me is now routine. At least in regards to the prophetic, the supernatural has indeed become natural. But that is not what I want to write about here. What I want to write about here is why you (if you are a believer and in the So Cal area) should seriously consider going through the Well orientation and begin serving at the Well. On a very practical level, in recent weeks the Well has been at capacity almost every week. As the saying goes the workers are few but the harvest is plentiful. People will line up an hour before we even begin registering people to make sure that they get a spot. Even with six to eight teams of two to four trained ministers we usually are getting done by midnight and have to turn people away. We need more servants to fill the spiritual hunger that is being met at the Well. 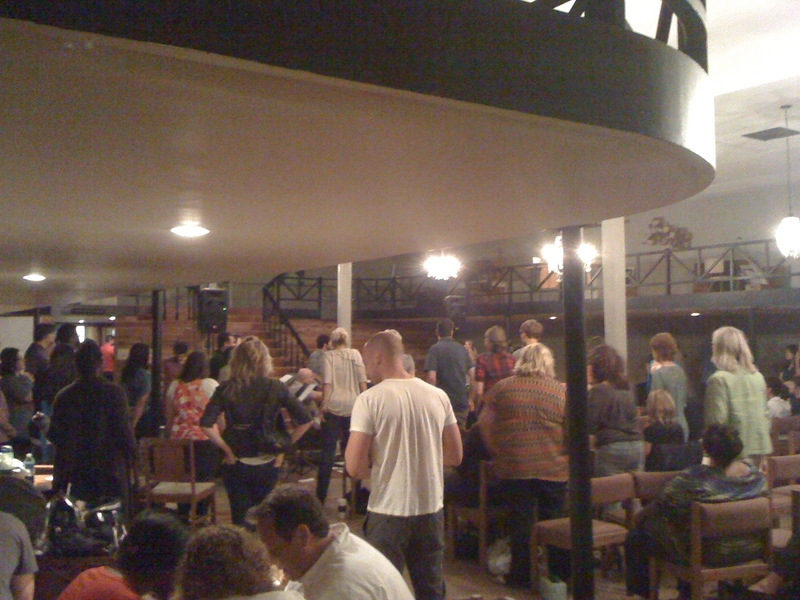 These are all people waiting for prayer at the Well ministry. Your average Saturday night at Pihop. On a slightly bigger picture level the prophetic gift is something that all Christians should operate in on some level and it is an amazing birthright for those who have been born again in the Holy Spirit. Centuries later, in Acts 2, the desire of Moses and the prophecy of Joel was fulfilled and the Holy Spirit was poured out onto every follower of Jesus enabling every follower to prophesy and hear from the Lord, both for themselves and for other people. In the early church Paul encourages followers of Jesus to eagerly desire the spiritual gifts, especially prophecy because prophecy strengthens, encourages and comforts the church. He does this even when the church in Corinth is not apparently handling these things right and they need to be corrected. We also find major prophetic words being received by the church and foretelling the future. In short, I would suggest that all believers should become more acquainted with the gift of prophecy. The ability to prophesy is an amazing gift from God that was longed for for centuries. It enables us to supernaturally strengthen, encourage and comfort our brothers and sisters around us. Going through the orientation to the Well and then serving at the Well is the best way I know how for someone who knows nothing about prophecy or the spiritual gifts to start exploring this gift in a safe environment with wise and gifted people. However, the most important and perhaps most personal reason I would encourage people to serve at the Well is this: serving at the well has changed how I relate to God. Over the last six months I have practiced a variety of disciplines in order to hear God for other people, and somewhere along the way I began to use these same disciplines when it came to hearing God for myself. The same way I connect with God to hear from Him for other people I know use to connect with God in my times alone with Him. This has fundamentally changed my “quiet times” from legalistic requirements to read “x amount” of verses and get “x amount” of insights from scripture to a dynamic and engaged relationship with God. While I do spend a lot of time in the Word, my times alone with God are far more similar to catching up with a friend over coffee than a Bible study. This is probably the way it should be. Serving at the Well has released me into a place where I feel like I am building a relationship with God and not just increasing my knowledge about Him by studying the Bible. This entry was posted in Faith, Personal Commentary and tagged Pihop, prophecy, prophetic ministry, the gift of prophecy, The Well. Bookmark the permalink.